According to the World Bank Group, the country’s population declined by -0.2% in 2017 alone, while China and the US barely grew .60% and .70% respectively. Back in 2010, Japan had 1.3 million more people than today. 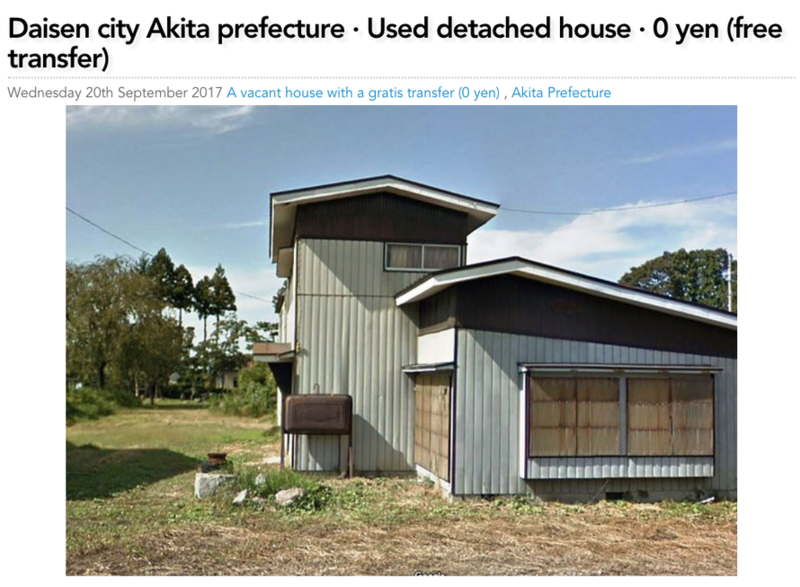 The Japan Times said an increasing number of abandoned properties are being listed on online databases known as “akiya banks”—“akiya” translating to “vacant house” -- with tens of thousands of homes being offered at a massive discount. 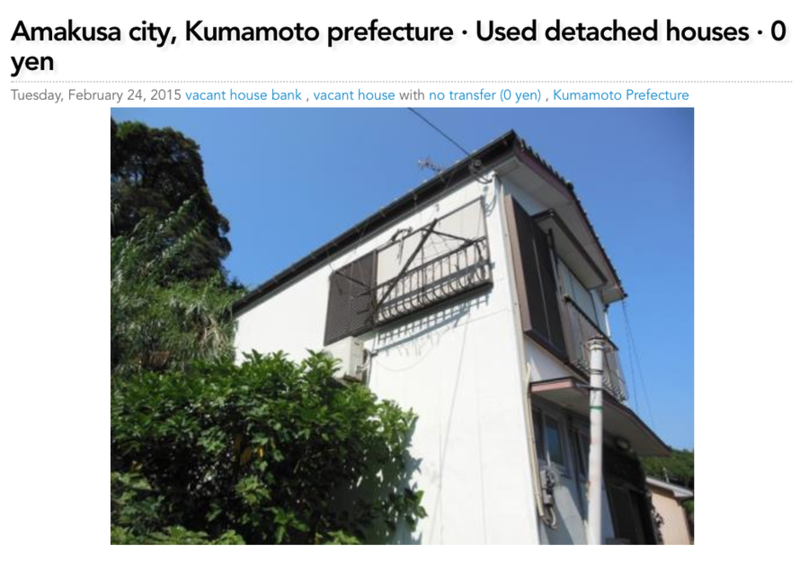 Prices on one particular database range from 30 million yen ($266,800), while many other properties are listed under “gratis transfer” for the sum of literally zero yen. This is all part of a government scheme to counter the country’s unprecedented housing crisis. A 2013 government report revealed that more than eight million abandoned homes were spread across Japan, with many of them located in rural regions. Nearly 25% have been deserted indefinitely, neither for sale nor rent. In Tokyo, where 70% of the people live in apartments, about 10% of homes are dormant, a ratio higher than in cities like New York, London, and Paris. And that figure is expected to surge in 2020, as deaths outpace births in a mature society where more than 25% of the population is 65 or order. Nomura Research Institute forecasts the number of abandoned homes could grow to 21.7 million by 2033, or about 33% of all homes in Japan. Meanwhile, the population peaked a decade ago, forecasted to plunge 30% by 2065, creating an even more profound crisis in the decades to come. He said the government had led several measures to tackle the phenomena, including subsidies for owners willing to dismantle decaying homes. 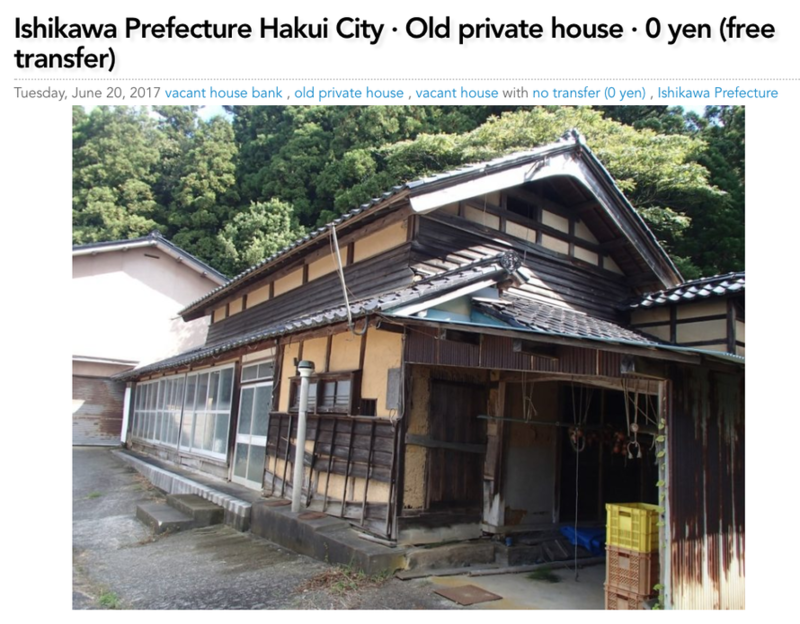 "But tearing down homes is costly, and a decades-old tax break that promotes construction by setting property tax on vacant lots at six times the level of those with buildings discourages demolition, " said The Japan Times. While the Japanese government is willing to give anyone a free home, the American millennial across the Pacific Ocean is dealing with quite the opposite: housing shortages and an affordability crisis. So if you want a free home, pack your bags and head to Japan.